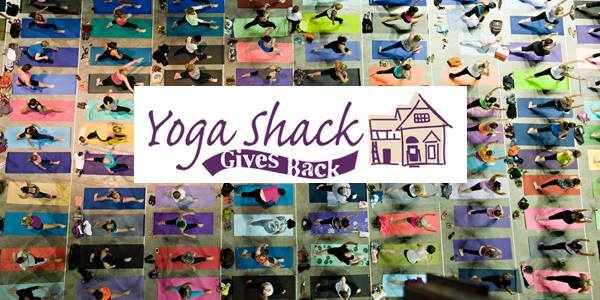 For the fifth year in a row, the Yoga Shack is looking to break records with London’s biggest yoga class: Yoga Shack Gives Back! This event has had great success over the years and is a lot of fun for both beginner yogi’s and yogi’s who have been practicing for years. Join Yoga Shack’s owner, Lisa Shackelton, as she leads everyone through a 60 minute hybrid flow class designed to strengthen, lengthen, and restore your whole body. 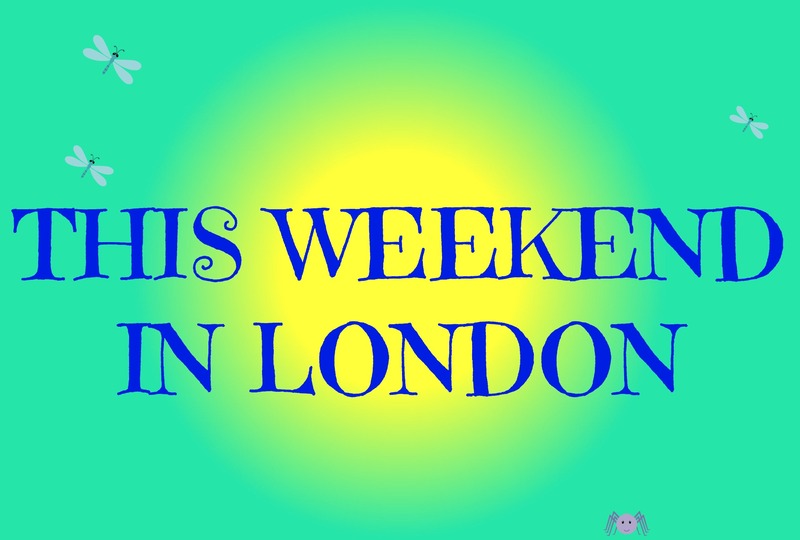 There will be a whole team of Yoga Shack teachers there to help you with your practice and offer yoga assists, lots of volunteers to get you set up and even Taz from London’s Best Rock FM96 to get you excited to stretch! This event isn’t just fun, it also has a great cause attached to it. The Yoga Shack is hoping to raise a lot of money for the Women’s Community House here in London. The event is FREE, but they are asking you to make a donation that you feel comfortable with. Registration can be done online with either a $15, $25 or $50 donation. For every $25 donation given, you will receive a ballot for a one-year membership at Yoga Shack and Yoga Shack on Ann. If you have a child or someone you know who is between the ages of 6 and 21 years old who is oozing talent and is looking to get noticed for it, then NOW is the time to audition for the next Rise 2 Fame competition. The Rise 2 Fame competition concludes every year at the Western Fair in September, but the preliminary auditions happen all summer at various cities, festivals, and fairs across southwestern Ontario. You can even enter by submitting a video of your performance for the chance to attend the preliminary here at the Western Fair Carousel Room on August 10. For all of the eligibility information, see HERE. There are 16 preliminary auditions being held. The dates, deadlines for submitting applications, and locations can be found HERE. For information on the online video submission, see HERE. Once your video is up and approved, you are encouraged to share the link to get people to vote. The video with the highest number of votes will win the People’s Choice award, so share your (child’s) video on our Facebook page so we can enjoy! 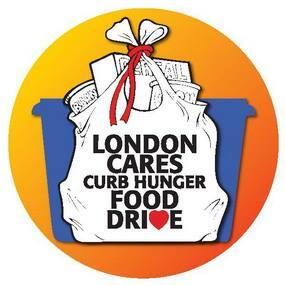 The London Cares Curbside Food Drive begins this Friday, June 5th and runs until June 13. This is our chance as a community to pitch in and restock the London Food Bank with enough perishable food to get Londoners through the summer months. Though many are eager to give at the holiday times throughout the year, the warmer months when people get busy with vacations and having fun are a time when the shelves need to stay filled. Make a donation at the curb: put a bag of non-perishable items beside your blue bins on your regularly scheduled recycling pick up date. Place donations in the bins at the front of your neighbourhood grocery store. Bring your donations to any Tim Horton’s locations during the donation period. Perishable items (fresh fruits, vegetables, and commercially baked goods) cannot be collected at any of the above locations, but can be brought directly to the London Food Bank at 926 Leathorne Street. Beginning tomorrow, Monday, June 1, the water restriction for outdoor water use comes into effect and will last until the end of August. It is time to turn off the hoses and start paying attention to the calendar. To conserve water in London during the warmer months, Londoners are expected to only use their hoses on the dates that correspond to their house number. There is currently a by-law awaiting approval that will remove water restrictions on weekends and statutory holidays this summer. Your lawn only requires one inch of water per week to survive and thrive through the warmer months. Instead of turning on the sprinkler every other day, buy yourself a rain gauge which will measure the total amount of rain that your lawn gets every week, and then adjust your watering schedule accordingly. The best time to water your lawn is early in the morning. Watering during the day will result in most of the water being evaporated. Using mulch on your gardens will reduce the need for watering by keeping soil moist and preventing evaporation, as well as help with weeds. Set your lawn mower to trim a little bit longer and allow the grass clippings to stay on your lawn. This will add nutrients back to the soil and act as a mulch for your grass which will prevent evaporation and keep the soil moist. 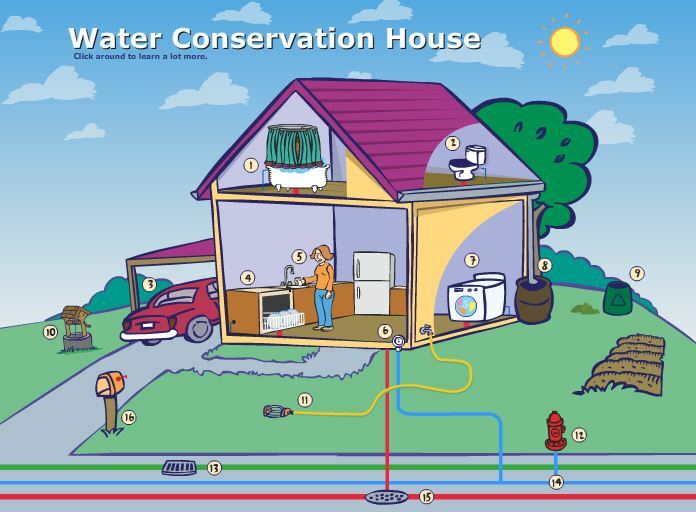 For more water conservation tips, see HERE. 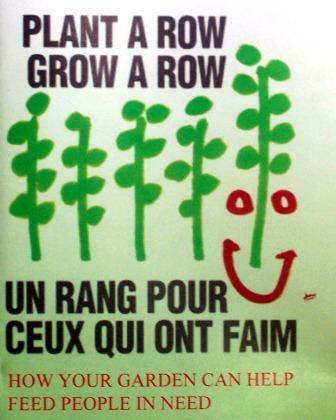 Gardeners, green-thumbs, and wannabes, as you are planning and/or planting your summer garden this weekend, consider London’s Plant a Row, Grow a Row Campaign. Founded in 2012 this program encourages you to plant a little bit extra in your garden and to donate that extra produce to the London Food Bank. The London Food Bank is able to easily collect and distribute non-perishables, but low income individuals/families also need the most important part of our diet: fresh fruit and vegetables. While you can imagine the obvious trouble with collecting such items in a drop off bin at a grocery store, they are able to collect and distribute fresh produce when it is brought directly to them. This time of year is the absolute easiest way to contribute to your London Food Bank by making space in your kitchen garden for a bit more produce. Did you grow more zucchini than you can handle? Decide kale is just not your thing? Have more tomatoes than you can can? Rhubarb running wild? Had enough beets for one season? Bring your excess to the London Food Bank! Either make the conscious decision to over-plant or just bring them whatever you don’t want. Pick it at it’s prime and get it to the Food Bank ASAP. If altruism isn’t motivation enough to get on board with this, Plant a Row, Grow a Row has received a whole lot of seeds to give to you at no cost! Bush beans, pole beans, leaf lettuce, spinach, summer squash, cucumber, kale and beets are available for your garden. Just plant, grow, keep what you want and donate the rest back. See Facebook for more information. We are fortunate in London to live in a place so rich in history and to be able to learn about the history first hand! If you have a child around grade three or above, there is a good chance they will know what The Three Sisters are already through their social studies unit on Native Canadians. If they’re lucky, they may have even gone to the Museum of Ontario Archaeology and learnt about the crops and legends of the First Nations people who lived and farmed right here in London and area before the European Settlers came over. The legend of the Three Sisters was passed down from generation to generation to teach about farming. In the story (a version can be found HERE) there are three sisters who are very different, but inseparable. They each have different characteristics that compliment each other. One day, they see a young Native boy and become curious. One by one the sisters disappear in the night as summer turns into fall. At the end of the tale, they are reunited joyfully in the young boys lodge where they help to feed his family. 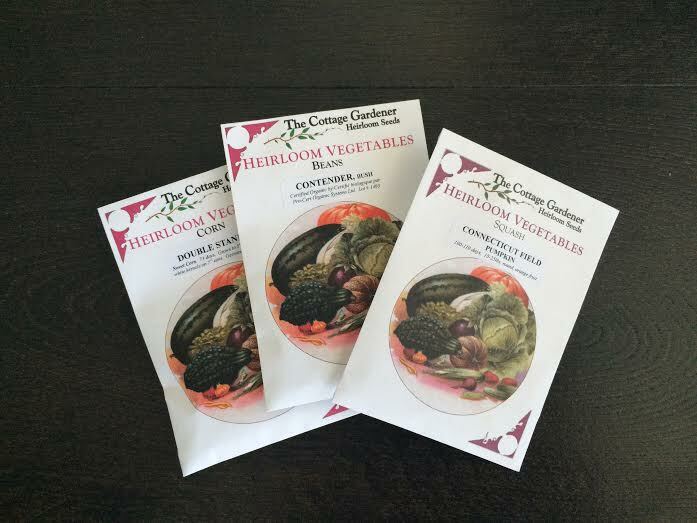 The Three Sisters are three plants: corn, beans, and squash (traditionally pumpkins). According to legend, the three sisters are inseparable and cannot grow without each other. When planted together the corn acts as a pole for the beans, who in turn strengthen and help support the corn stalks. The squash provides ground cover and acts as mulch to prevent weeds and keep the soil moist. If you have space in your yard somewhere, consider planting the three sisters this spring and see what happens! Talk about the history with your children and do a little research into how the three crops would be used by the original residents of London. Start this weekend! Plant the corn about 4 in a square foot and water frequently. Plant a squash or two, depending on how much space you have. Squash grows and takes up a lot of space, so give it room! Water your plants frequently and fertilize as needed. 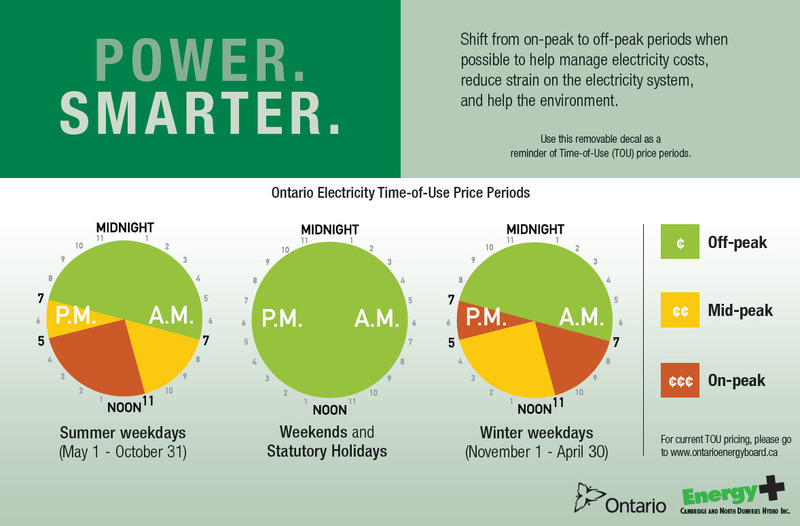 It has been a few years since the Smart Meters rolled out and Time of Use rates began for London Hydro users, so perhaps a refresher is in order! WHAT IS TIME OF USE (TOU)? TOU is the method used to calculate how much you will be charged for your electricity use. There are three different rates throughout the day and you will be charged a different rate for the time of the day in which you use it. Every six months, the times of the day that different rates are charged will shift. During the winter months, the peak pricing is in the morning and evenings (when demand is highest for heating) and during the summer months it’s peak is in the afternoon (when air conditioner/cooling demand is highest). The shift happens May 1 and November 1 of each calendar year. Weekends and Statutory Holidays are all off-peak rates. The good news is: there’s no more snow in the forecast. The better news is: it’s almost the weekend. 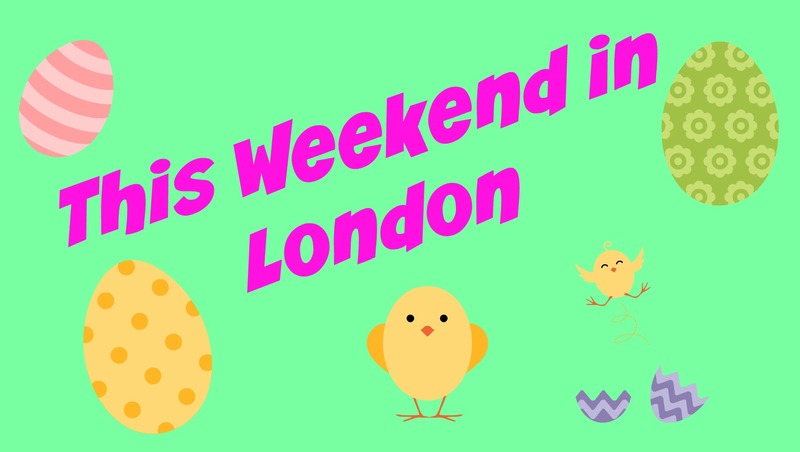 Here is what is happening in our fine city this weekend! To finish off the week of Earth Day celebrations, London Clean and Green is hosting a Community Clean Up Day on Saturday, April 25. There are many locations across the city that you can join and pitch in! 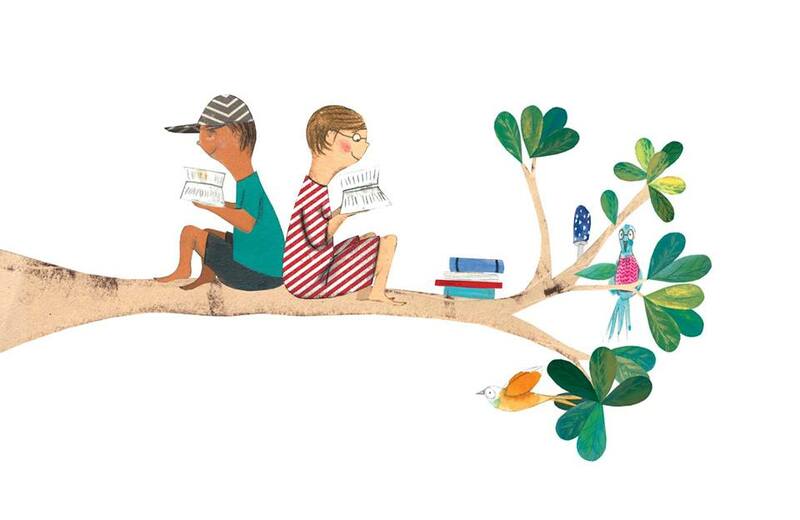 Pick up litter, plant trees, remove graffiti and have some fun. Bring the kids and get the whole family involved in making our city beautiful. If you can’t make it to one of the scheduled clean up locations, clean up your own neighbourhood a little bit. Just remember to stay safe and watch for sharp things. This Friday, April 24 is one of the City of London’s three monthly toonie swims. Head over to Carling Heights Optimist Community Centre from 7:30 to 9:00pm with your family and pay only $2 per person for admission. The annual Forest City Road Race is this Sunday, April 26. There is still time to register for this event, although online registration ends tonight, April 23 at 6:00pm. Bring the kids for the Kids Fun Run or challenge yourself with the 5K, 10K or half-marathon events. 100% of the proceeds raised at the FCRR go toward programs at Thames Valley Children’s Centre. If you aren’t going to the race, but have any business in the downtown or old north London areas on Sunday morning, be advised that there will be delays and detours. Storybook Gardens is open for the spring season with some fun new things for the kids! Check out the Peddle Car Track and Felix the Fox Archery from 11:00am to 3:00pm. The castle is open 10:00am to 5:00pm Saturdays and Sundays through April. Have you been considering upgrading your flooring? The Home Depot is hosting a workshop this Sunday, April 26 at 1:00pm on installing laminate flooring. Learn how to cut and lay the flooring, what tools you will need, how to undercut door jams, and lots of useful tips on how to make flooring easier.